Naive? Maybe. I can't name anything bad about this book. Honestly. I loved the whole book. 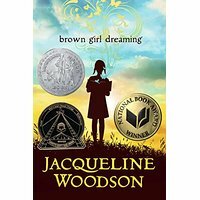 I especially liked learning about Jacqueline Woodson's family and sense of place through poetry. While reading the book, her family became my family. I won't forget her favorite uncle and his troubles. Neither will I forget her mother and her gentle way of teaching obedience. I will remember her friend, Maria and Maria's mother's cooking. Startled, the woman turned in her saddle and glared wide-eyed at him. Beneath the brim of her dark hat, vibrant blue eyes watched him. I am loving this short story. Before reading the first words I had fallen in love with it. Because I love Ernest J. Gaines as an author. I first met him through the Oprah Winfrey Show. The book club choice was A Lesson Before Dying. Just writing this title leaves me wanting to read the novel again. I've read it more than once. It's that thought provoking. Now, this short story is really good too. Its sent me back to childhood memories. Sadly, there is always someone in a neighborhood peculiar or eccentric, so different that children choose to laugh at that person. The person becomes entertainment for the lazy days of summer. There is a lady like that in "My Grandpa And The Haint." Her name is Madame Toussaint, an old hoodoo lady." It's still difficult to think about children struggling with an illness or illnesses. 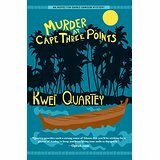 Thank goodness for authors like Kwei Quartey who are not afraid to write about these issues in their books. For personal reasons CHOP is one among a few hospitals which are special to me because of their care for mothers and children. I must think of two hospitals where my children were born or nursed for emergencies. It has not been hard to fall in love with Lily. For most of my life, I've wanted a Dachshund. When I was a child, I called these dogs hot dogs. I suppose my wanting one has caused quick feelings of sadness about Lily's illness. Poor Lily, I feel so badly about her feeling badly that the only cure became to shut my book for a little while. It helps to think that Edward, her master, is suffering far more than me. After all, he's known her since she was a runt. Feelings of first love fall from the book like paper leaves. I look in my cat's eyes wanting to experience those first feelings all over again. It's not hard. At some point in a given day I feel that sparkled tingle all over again inside my stomach. So Steven Rowley is successful in one particular area. I'm thinking the type of pet owned does not matter. After all, love is love is love. This is a very interesting Nonfiction book about World War II. The focus is on women and how they adjusted or didn't adjust to the war. However, the stories of the women leak into the stories about Jews, Germans, Art and the fashion capitol of the world, Paris. There are many facts about famous people like Picasso and Colette,etc. Some of these facts are not the same old ones learned in school but new ones as well which might interest a Social History Buff. Therefore, whether a person knows about Paris during this period or not, this book might still seem fascinating. "It's Thursday the first time I see it. I know that it's Thursday because Thursday nights are the nights my dog, Lily, and I set aside to talk about boys we think are cute. she's twelve in actual years, which is eighty-four in dog years. I'm forty-two, which is two hundred and ninety-four in dog years--but like a really young two hundred and ninety-four, because I'm in pretty good shape and a lot of people tell me I could pass for two hundred and thirty-eight, which is actually thirty-four." do not dare die - Stay! "Paris was a human ruin. Where were the dogs, the cats, the flies? Where was everything?" "It was part of the mechanism of genocide, to disorientate, slowly destroying any sense of belonging by depriving Jews of what they owned." I have read many times about the magnificent Art stolen from the Jewish people. 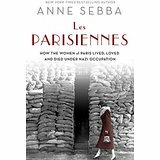 I am reading about this part of History again in Les Parisiennes by Anne Sebba. This time I am struck by a word or two used by the author. One word is "disorientation." Stealing precious Art pieces along with taking families away from neighbors and relatives led to emotions felt during senility or aging. A feeling of not knowing where you were, who you were must have come over them causing great grief. 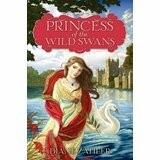 Princess of the Wild Swans by Diane Zahler is about hate and love in the land of fairy tales. I have loved reading this book so much. It took me aways from the world of stress and worry. I have decided to read the rest of the series. The tale begins with a queen cursing her stepsons. She changes the boys to swans. Their sister, the Princess, is heartbroken. Finally, there is a way to turn the curse. She must sew shirts of stinging nettles for each brother. Her hands become ugly and sore. On my fairy tale journey, I met many fun characters including the wicked queen, Orianna. At one point, she wore a ruby ring. That's the only time I wanted to get close to her. How big was the ruby? I especially loved the governess, Mistress Tuileach. She's so kind to Princess Meriel who can not speak. She sends her thoughts to you. There comes a time when the old, cruel Queen will separate the two from one another. 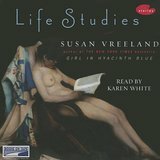 I had a hard time finding the cover for Life Studies by Susan Vreeland. The other covers are easy to find. Not the cover of my stories. So, I'm showing a cover of an audio. I will also add the cover of the book on Susan Vreeland's website and on a book site. Are we beginning, to or have we always censored Art? Some museum sculptures have made me turn away with a bashful smile. However, this cover is one I happen to like, and I don't feel the apron strings of the Victorian Age tied around me. The lady shown on the cover is admirable. She is brave enough to sit comfortably in the style she chooses, naked, and read a book. Were her venetian blinds tightly shut? Did she pose for a painting and regret it later on after she started another chore? Her character leaves me guessing about her thoughts. What makes a woman so relaxed? And in what room is she? The robes are lovely. Her robes look like an expensive Japanese fabric. Her robes fall as easily as her body. I felt worried. I wasn't feeling close to Cora. Now, I have changed. She is a strong woman I would love to have met and known. She never forgot her mother. Before her escape to freedom with Caesar, she has a special way of saying goodbye to her friends at Hob. Not with words, but with objects: "a comb, a square of polished silver...the pile of blue stones that Nag called her "Indian rocks." Her farewell. I always hate to read about the slave ships that crossed from Africa to different places. one of those places was the United States, etc. The journey for the people had to have been as emotionally painful as Colson Whitehead describes in his book. I never knew the exact location in Africa from which the people were taken at that time. So I quickly latched on to the name of the place 'Ouidah.' Then, I wanted to know more about that particular home of the people who would soon become the property of the people here and elsewhere. I was certainly shocked that the name Ouidah means procession of the serpent.Then, I came across Brazil in my reference reading. Coincidence? I need to ask Mr. Whitehead (smile). I bring up Brazil because most of us have our minds turned toward Rio for the Olympic games. I'm spending time with Colson Whitehead. His new book is "The Underground Railroad." I'm striving to feel a close connection to Cora. It will come. It will come. 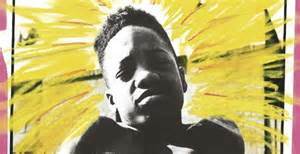 In the meantime, I have discovered online a short story written by Colson Whitehead. Pow! The beginning floated me away into the world of Sag Harbor with people commuting back to the city for work and other duties. His story is so picturesque. I don't have a brother, but I could feel myself, a girl, curled up next to a brother while driving in the back of my parents' car. Just wanted to share a line or two. Immediately I catch the relationship between two siblings, brothers. I received this beautiful book from Barbour Publishers. I'm thinking about how to review it. While reading the "powerful" prayers inside the book, I realize these prayers can fit Cancer or any other health challenge. These prayers are also a way of knowing God more fully. I've read about His faithfulness and love. I want to also spend time reading about His "will" for us. I certainly feel reading these pages will bring a growth in faith. I think of the book as a cornucopia of prayers. Charles Lamb is truly a Humorist. Just an essay title by him can cause laughter. For example, "A Chapter on Ears" is one that is funny. Never have I thought about ears and Architecture together. He likens ears to Architecture by using the term "volute." 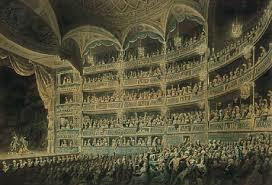 Our ears are like spirals and we can liken these ears to Architectural styles such as Ionic and Corinthian. Now, I picture the ear as a seashell. Here is one photograph. It is an Ionic Pillar. I just want to add a quote from Mr. Lamb's essay. "Mistake me not, reader—nor imagine that I am by nature destitute of those exterior twin appendages, hanging ornaments, and (architecturally speaking) handsome volutes to the human capital." This is a Non-fiction book about the WestLake family. "A Different Beautiful" by Courtney WestLake is about the birth of the author's second child, Brenna. Brenna is born with Harlequin ichthyosis. The mother, Courtney WestLake, writes about how she discovered the importance of seeing the beauty in differences while living with her daughter's rare skin disease. In our world, advertisements can make us feel uncomfortable. People seem perfect. They are slim, good-looking and have beautiful skin and their lives are perfect in every way. Through emotional ups and downs the lesson is learned that no one is perfect. All of us are uniquely created by God. Our differences are our blessings. I remember reading essays in school. However, I wasn't looking for those writings this morning. I just happened upon an essay about London by Charles Lamb. I had to laugh while reading it. It's rare to find an author of this period or any person during any era writing about their enjoyment of crowds over solitude. It seems more intelligent, more lofty, to talk about the delight in listening to the birds, looking at the clouds pass or walking slowly through a field of poppies thinking about your next painting. Here is the quote that speaks about this man's love of a crowd. "For my own part, now the fit is long past, I have no hesitation in declaring, that a mob of happy faces crowding up at the pit door of Drury-Lane Theatre just at the hour of five, give me ten thousand finer pleasures, than I ever received from all the flocks of silly sheep, that have whitened the plains of Arcadia or Epsom Downs." grammar.about.com/od/classicessays/a/London-By-Charles-Lamb.